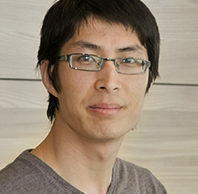 Postdoctoral fellow, pharmaceutical sciences, Washington State University, Spokane, Wash.
Postdoctoral fellow, cellular & molecular physiology, Penn State of Medicine, Hershey, Pa.
Zhang F, Cheng D, Wang S, Zhu J. Human Specific Regulation of the Telomerase Reverse Transcriptase Gene. Genes (Basel). 2016 Jun 28;7(7). Cheng D, Zhao Y, Wang S, Jia W, Kang J, Zhu J. Human telomerase reverse transcriptase (hTERT) transcription requires the binding of specificity protein 1 family proteins to the promoter and a permissive chromatin environment. J Biol Chem 2015 Dec 11;290(50):30193-203. Zhao Y, Cheng D, Wang S, Zhu J. Dual roles of c-Myc in the regulation of hTERT gene. Nucleic Acids Res 2014, 42(16):10385-98. Liu Y, Ma Y, Yang JY, Cheng D, Liu X, Ma X, West FD, Wang H. Comparative Gene Expression Signature of Pig, Human and Mouse Induced Pluripotent Stem Cell Lines Reveals Insight into Pig Pluripotency Gene Networks. Stem Cell Rev. 2014, 10(2):162-76. Yang F, Zhang J, Liu Y, Cheng D, Wang H. Structure and functional evaluation of porcine NANOG that is a single-exon gene and has two pseudogenes. Int J Biochem Cell Biol. 2015 Feb;59:142-52. Gao Y, Guo Y, Duan A, Cheng D, Zhang S, Wang H. Optimization of Culture Conditions for Maintaining Porcine Induced Pluripotent Stem Cells. DNA and Cell Biology. 2014, 33(1):1-11. Cheng D, Guo Y, Li Z, Liu Y, Gao X, Gao Y, Cheng X, Hu J, Wang H. Porcine Induced Pluripotent Stem Cells Require The Presence Of LIF And Maintain The Development Potential In Early Stage Of Embryos. PLoS One. 2012;7(12):e51778. Cheng D, Li Z, Liu Y, Gao X, Gao Y, Wang H. Kinetic Analysis Of Porcine Fibroblast Reprogramming Towards Pluripotency By Defined Factors. Cellular reprogramming. 2012, 14(4): 312-323. Liu Y, Cheng D, Li Z, Gao X, Wang H.The gene expression profiles of induced pluripotent stem cells (iPSCs) generated by a non-integrating method are more similar to embryonic stem cells than those of iPSCs generated by an integrating method. Genet Mol Biol. 2012 Jul;35(3):693-700. Hu J, Cheng D, Bao J, Gao X, Ma X, Wang H. Vitamin C Enhances the In vitro Development of Porcine Pre-implantation Embryos by Reducing Oxidative Stress. Reproduction in Domestic Animals. 2012, 47(6):873-879. Jia W, Cheng D, Chen S, Lei L, Wang H. Retinoic Acid Induces Myoblasts Transdifferentiation Into Premeiotic Stra8-Positive Cells. CELL BIOL INT. 2011, 35(4):365-372. Chen J, Lu Z, Cheng D, Peng S, Wang H. Isolation and Characterization of Porcine Amniotic Fluid-Derived Multipotent Stem Cells. PloS One. 2011, 6(5):e19964. Hu J, Ma X, Bao J, Cheng D, Li W, Anmin Lei, Chunrong Yang, Zhimin Gao, Huayan Wang. Influences of hormone requirements ITS on porcine oocyte maturation in vitro. Zygote. 2011, 19(3):191-197.